How Many Times a Day Do I Need to Take Growth Hormone Injections? How Often Do I Have to Take Growth Hormone Injections? How often you need to take growth hormone injections depends largely on your personal needs and goals and the severity of your symptoms. There is no time of day that is better or worse to take your growth hormone injections. Most doctors simply recommend that you take your HGH injections at night just before bed. This way it becomes part of your nighttime routine. You can expect to be prescribed growth hormone injections for at least six months. Growth hormone therapy is the safest and most effective way to treat men or women suffering from a growth hormone deficiency. Authentic growth hormone therapy is only given via injections. You can only obtain growth hormone injection therapy with a doctor’s prescription. Once you have been evaluated, tested and diagnosed with a growth hormone deficiency, or GHD you doctor will prescribe growth hormone therapy for you. Depending on your personal needs and goals, you will typically need once daily doses of growth hormone. However, depending on the severity of your symptoms, you may need growth hormone injections more often. The dosage for growth hormone injections is measured in IUs, or international units. 1 milligram (mg) is equal to about 3 IUs. When being prescribed for age-related or adult onset GHD, your initial prescription will probably be anywhere from 3 to 6 IUs. 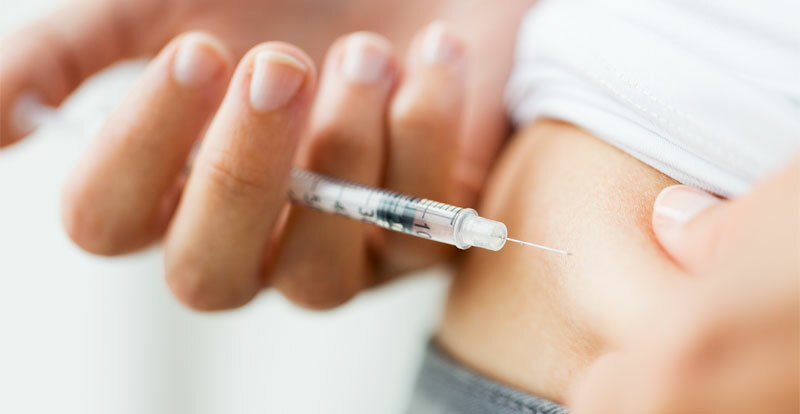 Normally, growth hormone therapy is titrated, meaning that your doctor will start you out with the lowest effective dose, and slowly increase the dosage of your HGH injections over the course of your growth hormone therapy. As to how long you will have to be on growth hormone therapy, again, that will depend on your individual goals and lifestyle. However, you should expect your first course of daily growth hormone injections to last for at least six months. Depending on your personal needs and goals, you will typically need once daily doses of growth hormone. However, depending on the severity of your symptoms, you may need growth hormone injections more often. You should expect your first course of daily growth hormone injections to last for at least six months. For the majority of growth hormone therapy patients, doctors will simply recommend that you take your HGH injections at night just before bed. This way it becomes part of your nighttime routine, and you are not under pressure to do it in the morning when you may be rushing to get to work, or have your mind on other things. However, that may not always be the case. 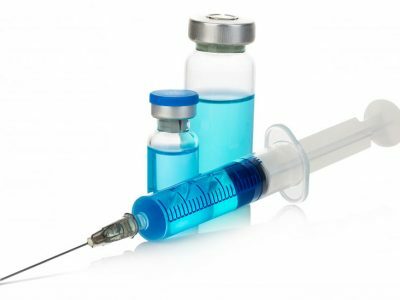 Here are some other things to consider, when you are thinking about the best time to administer growth hormone injections. 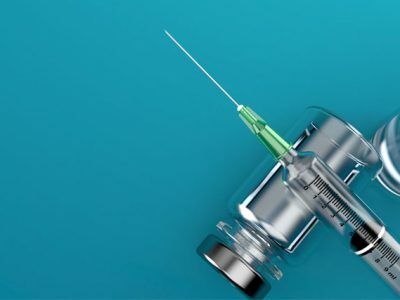 There are some growth hormone therapy patients, particularly those who may be on a higher dose — usually more than 4 IU — for whom it is recommended that they split the HGH injections into 2 equal doses. If you are splitting your dose into two times a day, it is recommended that you do one HGH injection in the morning and one in the late afternoon. This is because your natural release of another hormone, cortisol, is highest in the early morning and late afternoon. Cortisol can slow your metabolism and also make you feel tired and depressed. HGH injections can counteract the metabolism slowing and emotionally draining effects of cortisol. For the majority of growth hormone therapy patients, doctors will simply recommend that you take your HGH injections at night just before bed. This way it becomes part of your nighttime routine. What Is the Difference Between Taking HGH Injections at Night or During the Day? What If I am Afraid to Give Myself Growth Hormone Injections? 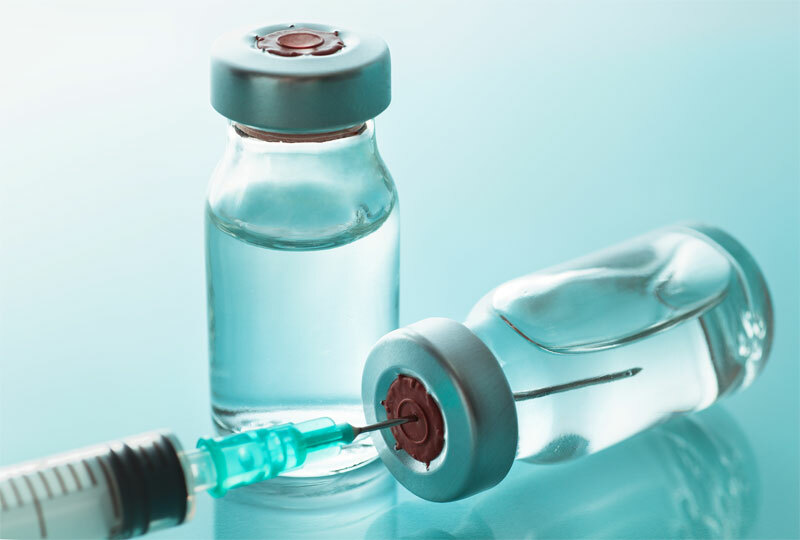 How Do You Take Growth Hormone Injections? Whether you take your HGH injections at night, in the morning, or the afternoon, the steps to administer HGH injection therapy are the same. If you are using the type of HGH injection kit that uses syringes, you will use one syringe and two needles for each injection. One needle will be used to draw the water to reconstitute the growth hormone, and to mix it, the other will be used to administer the actual injection. The tube part of the syringe is graduated, with measurements like a ruler, so you can accurately measure the water to reconstitute the HGH and your dosage. Make sure you use new/sterile needles from the sealed package for each injection. Most kits will have two ampules of liquid. One contains the HGH, the other sodium chloride (sterilized) water to mix it with. DO NOT USE ANY OTHER WATER TO MIX THE GROWTH HORMONE. Where Are Growth Hormone Injections Given? Growth hormone injections are given subcutaneously, or just below the skin. Which means that unlike other injections that have to be given directly into muscles (intramuscular injections), the needles do not have to penetrate deeply, so they are very small, and relatively painless. You will be completely trained on how to give yourself growth hormone injections. You will leave our offices confident that you are completely confident in your ability to administer your HGH injections properly, and with as little pain and discomfort as possible. 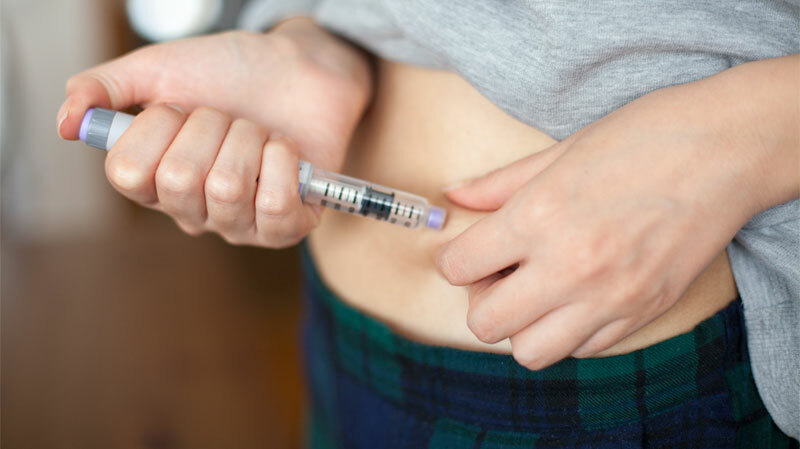 In the HGH injection kits that still use syringes, the needles are very thin, much like the ones that diabetics use to administer insulin shots, and so are barely noticeable beyond a pinch when done correctly. 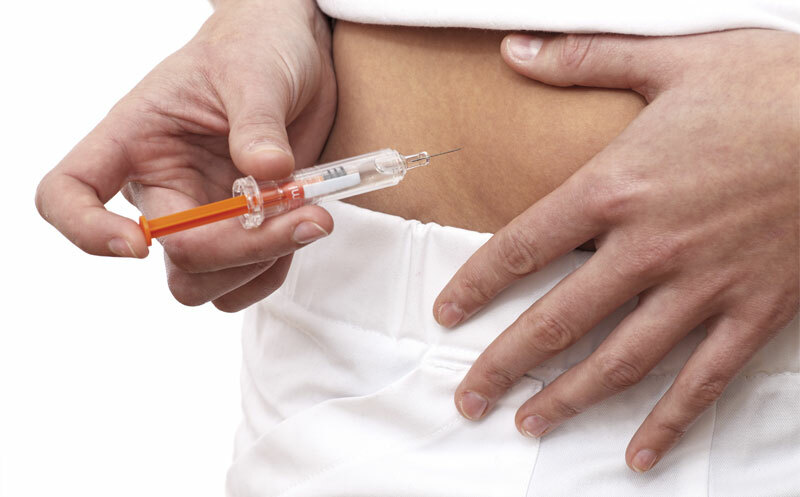 Some of the newer HGH injections use premeasured auto-pen injectors. These injections are very easy, and very quick, and can be delivered with little or no pain at all. How Do I Start on Growth Hormone Injections? 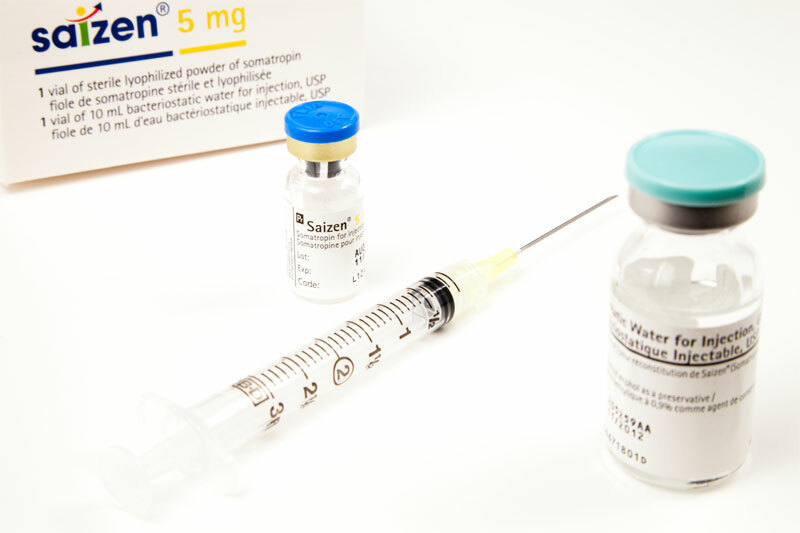 Growth hormone injections are given subcutaneously, or just below the skin. Whether you take your HGH injections at night, in the morning, or the afternoon, the steps to administer HGH injection therapy are the same. There is no greater risk of side-effects created by the time of day you choose to take your HGH injections.